Climate and Earth-system protection as well as social progress in human development can only be achieved if digital change is aligned with the goal of sustainability. Without creative political action, digital change will further accelerate resource and energy consumption, and exacerbate damage to the environment and the climate. One of the central messages of the report is that it is therefore an urgent political task to create the conditions for putting digitalization at the service of sustainable development. At the Federal Press Conference, the WGBU report will be presented by its Chairwoman Prof. Dr. Sabine Schlacke and WBGU member and Fraunhofer FOKUS Institute Director Prof. Dr.-Ing. Ina Schieferdecker. “We are currently seeing a wide range of opportunities to shape digitalization in a sustainable way. Digitalization can help to protect our environment, keep this planet worth living on for future generations and provide equal access to education. Sustainability must not be seen as a setback for economic development. Yet for this to happen, it has to be taken into account from the very beginning, just like IT security or usability. This is what the WBGU report suggests”, explains Prof. Dr.-Ing. Ina Schieferdecker, director at Fraunhofer FOKUS and a member of WBGU since 2016. 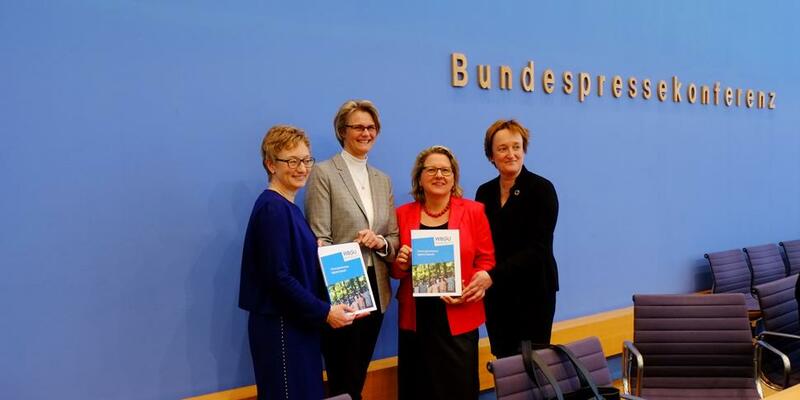 The WBGU recommends that digitalization be harmonized with the global sustainability goals agreed in 2015 and with the goals of the Paris Climate Convention. New technologies should be used in a targeted and comprehensive manner to give people access to basic services such as health care, education, energy and (environmental) information, while preventing environmental degradation. The use of digital technologies for recycling management, the promotion of energy system transformation through the use of intelligent energy networks or the reduction of vehicle traffic in cities through shared and networked mobility are some examples. Precautions must already be taken today to deal with the profound societal upheavals that will accompany digitalization in the medium term: Examples include the challenges of the foreseeable structural change on the labour markets, the replacement of real-world experiences in virtual spaces, the manifold effects of increasing automation and artificial intelligence on education, science and democracy, and the monitoring potential of new technologies. According to WBGU's new report, all digital changes should be directed towards the common good and improving people's quality of life. The report's recommendations for action include the implementation of public ICT and digital commons.